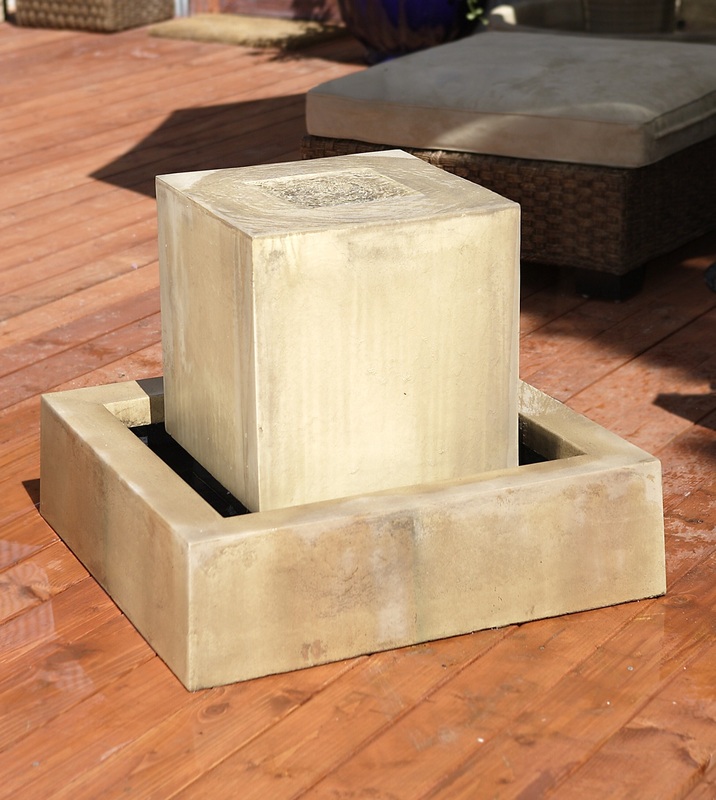 This elegant, multi-tiered fountain will make a tranquil addition to your design regardless if you place it indoors or out. Water bubbles over the small ball at the top and trickles down from tier to tier until it pools in the bowl at the base of the fountain. 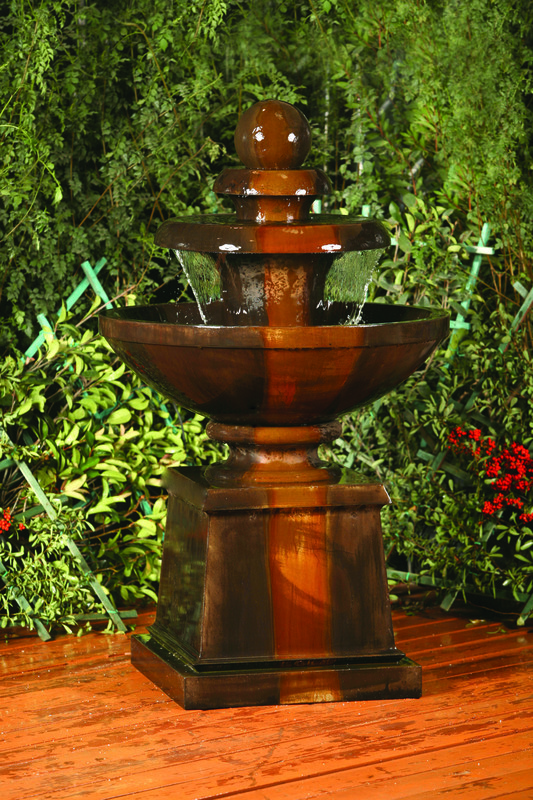 The Cresere fountain is on a block pedestal which makes it perfect to nestle it in among taller foliage. DIA 24" H 58" | 369 lbs.